If you are not familiar with the Dia Noche brand, don’t feel too bad. The locally-produced tequila only launched in 2016, and is available at a limited number of outlets and bottle stores, pursuant to the niche Dia Noche seeks to cut for itself in the market. “The agave plants, where tequila is sourced from, are grown in the Karoo. How did it arrive in the Karoo? Nobody really knows,” says Lipman (pictured right), speaking to media update prior to Dia Noche’s media launch in Illovo at the beginning of December. There are two stories circulating on the plant’s origin in South Africa. The first has to do with a woman from Grahamstown passing through the area, and happening to be in possession of some agave seeds. The second is a little less mythical, with the plant coming to South Africa through trade links forged with Mexico, its home. 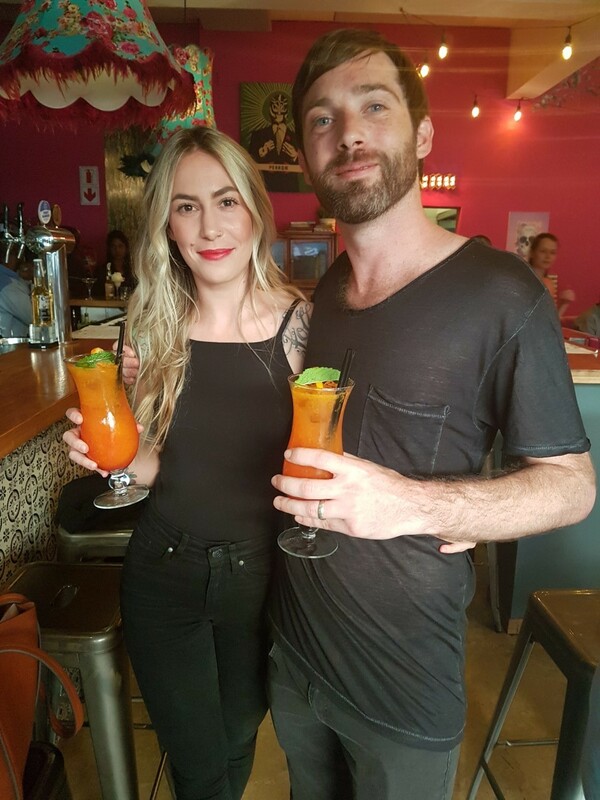 According to Kylie Serebro (pictured right), Dia Noche’s sales director, South Africa is the next best climate available for agave to grow, to the point where South Africa has exported tequila back to the United States, Mexico’s neighbour. “We saw a gap in the market. We’re entrepreneurs, we’ve been in the game for some time, and we’re involved in the Black Robot Advertising agency as well,” says Lipman, who is also the agency’s CEO. Dia Noche falls within the Amaji Beverages Company, which also includes strategic partners, The Dead Rabbit Distillery and The Skoonspruit Distillers. Lipman says the purpose of the Amaji Beverages is to bring together the farms, the distilleries and bottling under one brand portfolio. According to Serebro, Lipman’s experience from Black Robot, as specialists in go-to-market strategy and execution through-the-line, has also proven beneficial in bringing Dia Noche to market so quickly. One point Lipman stresses is how tequila in South Africa has been pigeonholed as a “party starter” and to be drunk in shot form. The reason tequila is viewed this way in South Africa is because of its sharp taste, to be diplomatic, making the “tequila face” a fait accompli. In fact, much of the tequila South Africans have been consuming is not 100% pure tequila, but what is called a mixto, where only 51 or 52% of the bottle is tequila. “There are lots of brands on the market that are very commercialised products and the reason why they are cheaper is because of the fact that the main part of the base is a cane spirit, with trace elements of tequila,” Lipman says. Dia Noche themselves have three flavours available at present, being the default Gold, accompanied by LemonMint and GingerBread. Serebro explains that each flavour has a different profile, which will suit different people who can actually sip the tequila and enjoy it, as was originally intended. In terms of Dia Noche’s future growth, Lipman and Serebro say that their primary aim to grow the brand, and the local tequila industry at large, over the next 12 months. This includes expanding its reach beyond Gauteng, capping its availability in the province at a certain point. “We want to keep it niche and attainable for those who want to go looking for it. We want to concentrate on customers and understand them more,” Lipman says. For more information, visit www.dianoche.co.za. Alternatively, connect with them on Facebook, Twitter or on Instagram.